Still going through my BIG box of vintage Christmas cards. One tip on dating World War II vintage Christmas cards ... many were red, white, and blue incorporating these patriotic colors into a holiday theme. 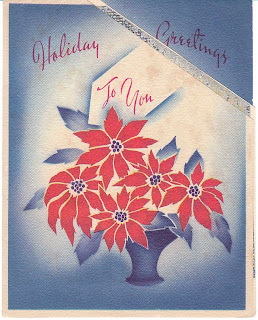 Here's a nice example with poinsettias.